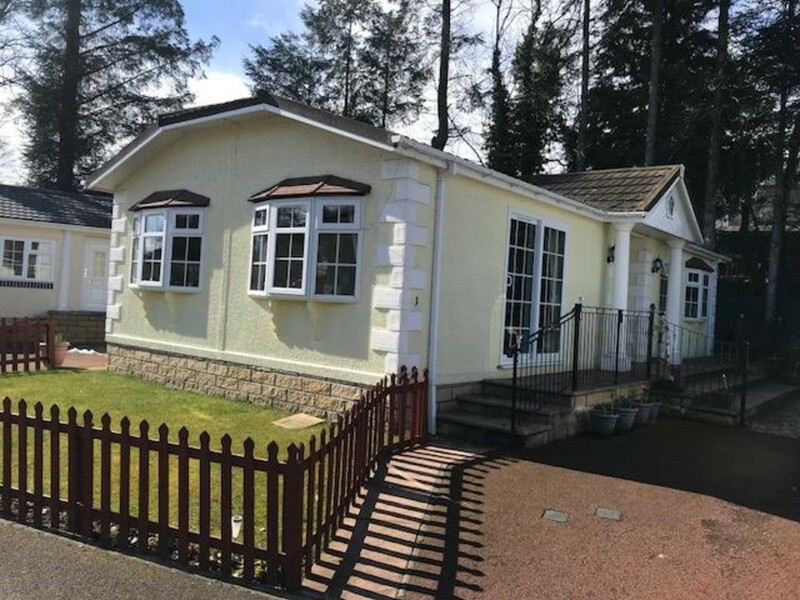 We are pleased to bring to the market this TWO BEDROOM PARK HOME which is situated in Mill House Park in Crieff. 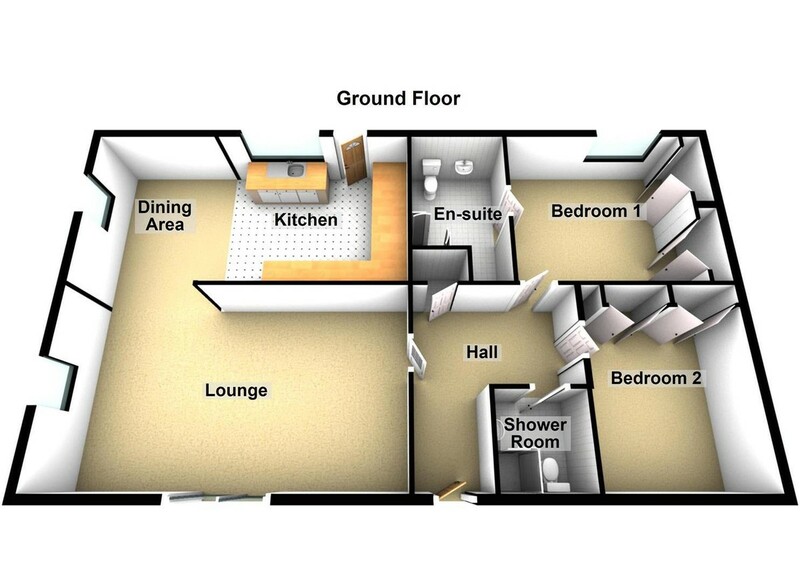 The well-proportioned accommodation comprises entrance hall, lounge, dining room, kitchen, two double bedrooms (master en-suite) and a shower room. 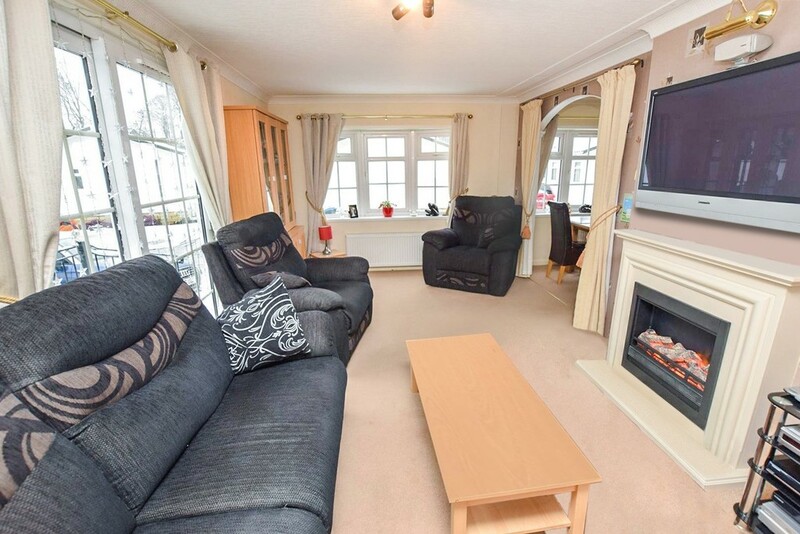 Warmth is provided by gas heating and the property is double glazed throughout. COUNCIL TAX BAND A. 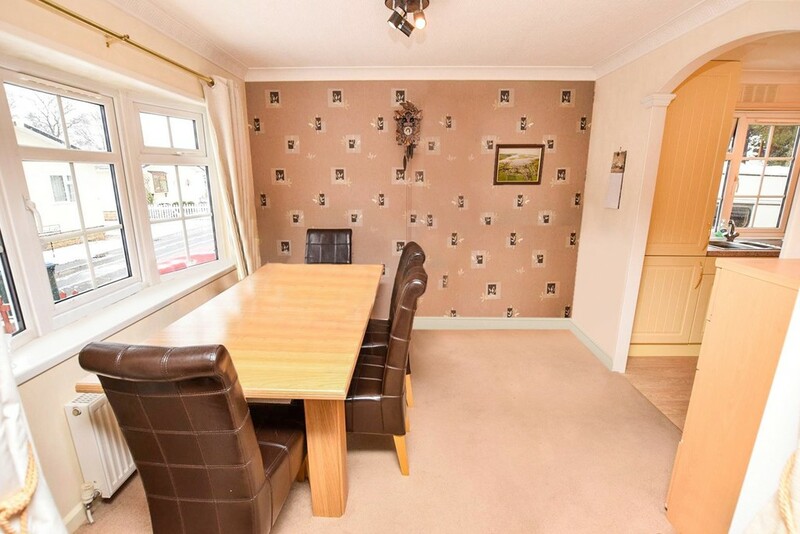 Early viewing is highly recommended to appreciate the location and accommodation on offer. AREA Crieff is a market town located within the Strathearn Valley, it is a hub for tourism with a visitor centre and the area embraces a variety of outdoor pursuits including hill walking and water sports. The town is just 16 miles east of Perth City Centre which has High Street shopping, main line train and bus stations, leisure facilities, cinema, concert hall, hospital and restaurants. There are primary and secondary schools within the town including the reputable Morrisons Academy. Entrance Hall 12' 3" x 7' 11" (3.73m x 2.41m) Entered via a part decorative glazed front door with adjacent side screen, the 'T' shaped hall provides access to all accommodation. Carpet. Radiator. Cornicing to the ceiling. Hatch providing access to the attic space which has the benefit of light and power. Cloaks cupboard. Lounge 18' 2" x 10' 7" (5.54m x 3.23m) A very bright and spacious public room with sliding patio doors providing access to the garden and with additional window to the front. Cornicing to the ceiling. Carpet. Radiator. Feature fireplace housing electric fire. Dining Room 8' 5" x 6' 1" (2.57m x 1.85m) Accessed via an arch from the lounge, the dining room has ample space for a range of formal dining furniture. Window to the front. Cornicing to the ceiling. Radiator. 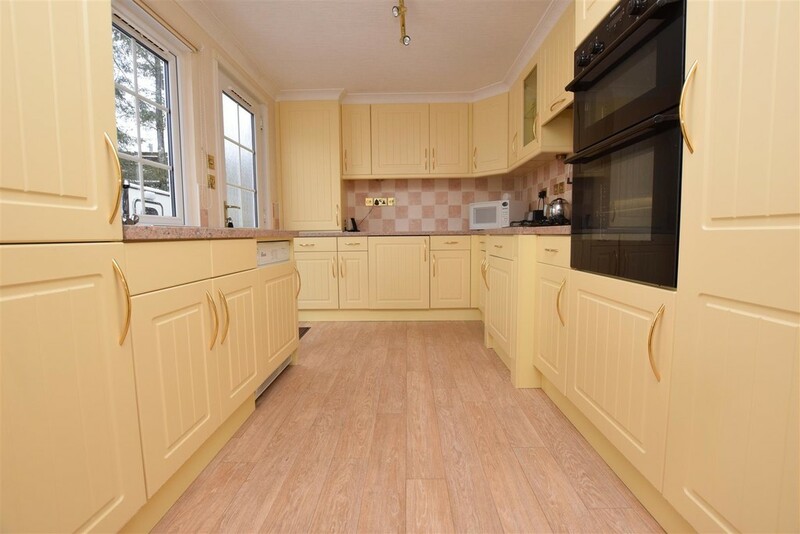 Kitchen 11' 3" x 8' 6" (3.43m x 2.59m) The kitchen is accessed from the dining room, again via an arch and is fitted with a range of wall and base units with contrasting work surfaces and tiling between. 1 Â½ bowl sink and drainer unit with mixer tap over. Integrated fridge, freezer, double oven/grill and four ring gas burner hob with extractor over. Integrated washing machine. Window and glazed door to the side. Cornicing to the ceiling. 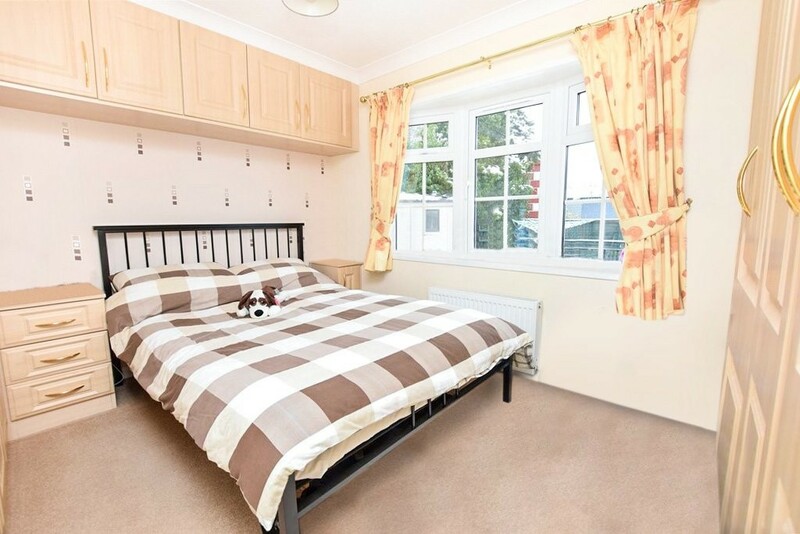 Bedroom 1 10' 2" x 8' 2" (3.1m x 2.49m) A spacious double bedroom with window to the side. 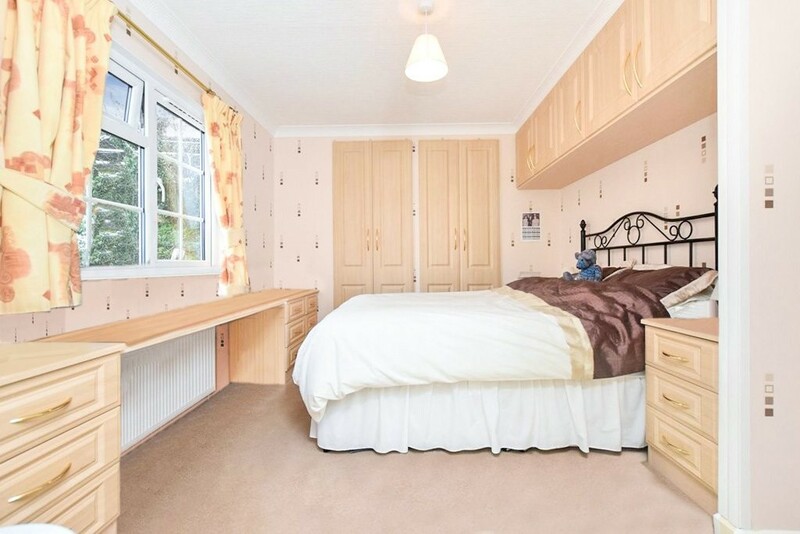 Fitted bedroom furniture including wardrobes, overhead storage, bedside cabinets and drawer units. Carpet. Cornicing to the ceiling. 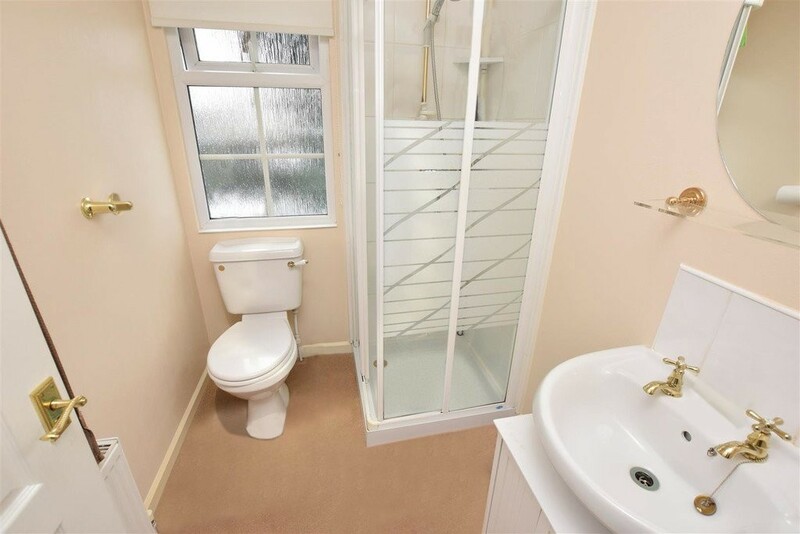 En-suite Bathroom 9' 5" x 5' 7" (2.87m x 1.7m) Fitted with a white suite comprising W.C., wash hand basin enclosed within vanity unit with cupboard under and mirrored medicine cabinet over together with corner bath. Partial tiling to the walls and carpet to the floor. Cornicing to the ceiling. Opaque glazed window to the side provides additional light and ventilation. Radiator. Bedroom 2 9' 5" x 8' 7" (2.87m x 2.62m) A further double bedroom with window to the side. Fitted bedroom furniture including wardrobes, overhead storage, bedside cabinets and drawer units. Carpet. Radiator. Cornicing to the ceiling. Shower Room 6' 6" x 5' 3" (1.98m x 1.6m) Fitted with a white suite comprising W.C., pedestal wash hand basin and shower cubicle with tiling within. 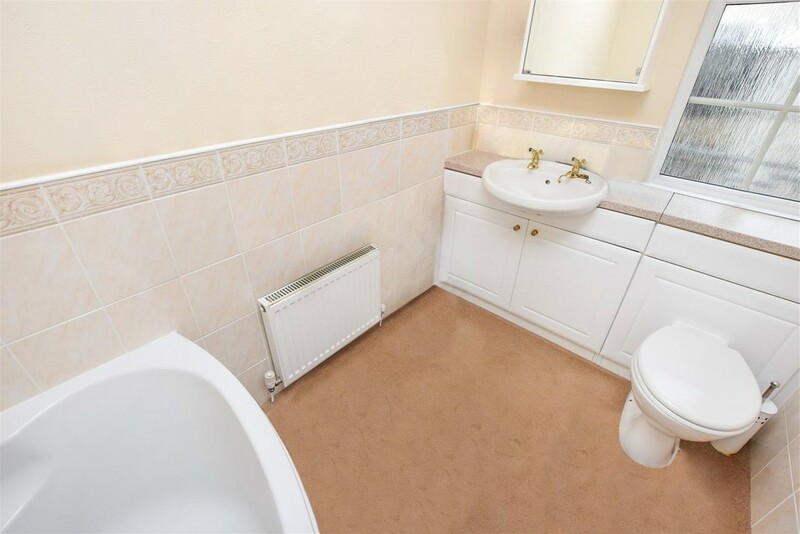 There is also splash tiling to the sink. Opaque glazed window to the side. Carpet. Cornicing to the ceiling. 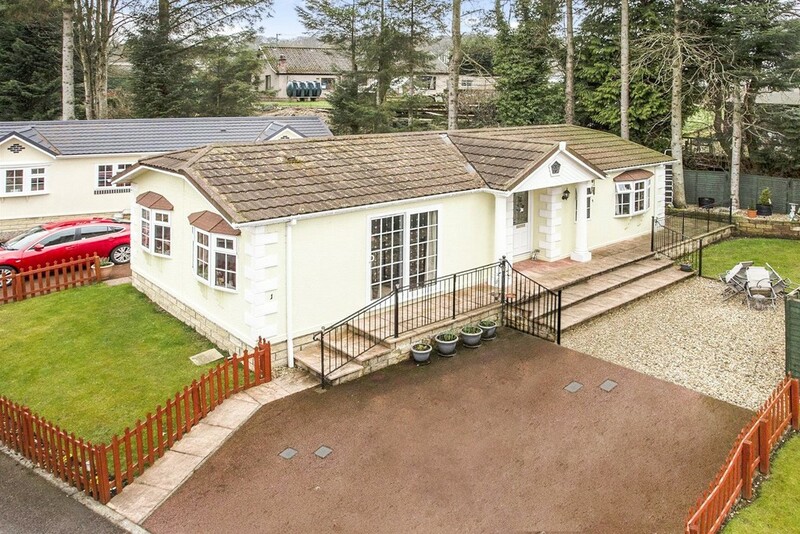 External The property is situated within a prime corner position and has garden grounds which are laid to lawn with planted borders which are enclosed with timber fencing. There is a driveway to the side providing off street parking. External store and rotary clothes dryer.